An emerging Afro Pop/Hiplife musician, QuaykuDsoul has stated that his music uplifts the souls and liberate them from unsettled situations. 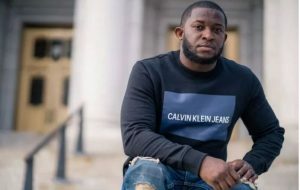 QuaykuDsoul, a Ghanaian musician based in the U.S, has revealed that music must be food for the soul and strength for the body. According to him, being a musician requires that, your music should mean more than words and beats. “Music should mean more than words and beats. Music must inspire, music must give you hope and liberates you from any kind of unsettled atmosphere. My mandate is to help people by uplifting their soul and inspire confidence. I believe as a musician when you sing, things must happen and there should be healing in the air and that’s exactly what my songs will do,” QuaykuDsoul said. QuaykuDsoul started music at the age of five (5), singing in the Primary school choir through to High School in Cape Coast. His unquenchable zest for music propelled him to form the music group called Atenteben in 1999 which included his older brother Michael Acquah and Samuel Oja Walker. The group worked extremely hard to make a name in the Central Region. The post My music liberates the soul – Quayku Dsoul appeared first on Citi Newsroom.